In certain circles, it is still believed that teaching philosophy to madrasa students would corrupt and distort their minds by introducing them to a maze of alien ideas. In a similar vein, classical Greek authors denounced what became known as “sophistry,” the art of mere word games barren of results. But others view philosophy — which stems from the ancient Greek term for “love of wisdom” — as one of the highest and most sublime sciences, a holistic analysis of man and his place in the universe. Naturally, others — especially theologians — argue that Islamic jurisprudence (or fiqh) is the highest form of science, and set theology in opposition to philosophy. Meanwhile others have crowned theology as the most sublime of the religious sciences. In traditional Islamic circles it was known as ‘Ilm al-Kalam — sometimes translated as Islamic scholasticism — which is rejected by the leaders of certain Islamic schools of thought. Philosophy purports to study the whole of existence, basing its theories upon the results of enquiries made in both the natural and social sciences. For this reason, it was called the mother of all sciences. Philosophy incorporates the conclusions of sciences such as physics, chemistry, mathematics, sociology and other disciplines into its domain, and establishes its idea of the universe, or existence in general. As a result, philosophy’s questions have fragmented in different directions, with different views emerging. Some of these are characterized by, in philosophic terms, idealism and others by materialism. From the start, this influenced religious thought, but not religion itself (there is a difference between religion and religious thought). It should be understood that the equation of religion with philosophy is improper. The former is concerned with faith in God, acts of worship, and the source of revelation. Indeed, according to religious thought, the source of revelation stands outside of existence, while God is the foundation of existence. In other words, religion concerns itself with existence’s essence — which can be known by revelation alone — while philosophy concerns itself with existence alone — or what can be known by reason alone. Religiously-oriented countries, often referred to as reactionary, teach philosophy according to the principles laid out by Al-Ghazali in “Aims of the Philosophers” and “Incoherence of the Philosophers,” as interpreted by religious clerics perceive. They view philosophy through the the prism of Idealism. In addition, many Islamic jurists today prohibit the study of philosophy, and even ostracize any of their colleagues who discuss it, for they find it alien to religious thought. They know little about philosophy nor do they wish to learn. It is as if they fear its rationalistic arguments. Examples of this attitude are many. The reason is because whoever learns philosophy is able to distinguish between ideas. Philosophy is known as a product of the mind, while religion is a product of revelation. For decades, our world has not been neutral. Rather, it was characterized by the existence of two opposing poles of thought, represented in the Cold War between the Capitalist camp and the Socialist camp. This was reflected in my own lived experience, teaching philosophy for over ten years in both the Democratic Republic of Yemen (Aden) and the Arab Republic of Yemen (Sana’a). Back then, schools in the former region taught philosophy of Materialism from Greek and Muslim philosophers. Marxism was taught through the sense of dialectical historical materialism, as well as socialist economics, distinguishing it as Materialism and Idealism. As a result of this political framework, Plato’s philosophy was taught with disdain, whereas the philosophy of Democritus’s atomic theory of the universe was regarded as acceptable. Moreover, the Ash’arites’ essays are scorned, while the treatises of the Muʿtazila are presented approvingly and even glorified. And whatever is acceptable to Sanaa is rejected in Aden. I remember quite well that Sana’a used to host Sheikh Al-Sha’rawi from Egypt to present a Ramadan program praising capitalism and denouncing socialism, from a purely religious point of view. In contrast, Aden hosted programs which affirmed the opposite. In such a situation, the student is exposed to only one ideological approach to philosophical teaching, as if he were living in the days of debates between the Muʿtazila and the Ash’arites, or Al-Ghazali and Ibn Rushd (who challenged al-Ghazali’s “Incoherence of the Philosophers” many years later with his own counter-polemic ‘The Incoherence of the Incoherence’). Therefore the student does not learn the art of debate, discourse, or discussion, in order to be prepared for intellectual debate or creation. Instead he becomes a follower of a school of thought prepared for him in advance. In such circumstances, the soil is made fertile for the emergence of extremism and fundamentalism. Religious extremism has swept thousands of young people simply because they were only taught religious treatises. That is what makes it so dangerous for the school curriculum to saturate education with purely religious content, with graduating students not learning much else except the ideas they were force-fed, while considering any other view as hostile. Indeed, there is significant benefit in teaching philosophy because it cultivates the skills of debate, of argument versus counter-argument, and discourages one from mindlessly submitting to a particular school of thought. That is, provided that philosophy is not presented in a polar approach of ‘with and against’, but rather is taught in a neutral manner in the form of the history of philosophy and ideas, and concepts which have been promulgated throughout the centuries. Philosophic notions should be represented as abstract ideas, without assigning whether they are right or wrong. In this way, Plato’s theory — known as the “theory of forms” or the “theory of ideas” — would be taught, and Aristotle’s theory of ‘form and matter’ would also be taught along with Democritus’s theory of the formation of objects from atoms. Al-Farabi’s conception of the virtuous city would be taught alongside its foundation in Plato’s ‘The Republic.’ Likewise the relationship between materialism and the trends and the theories it reflects. There ought not to be any affirmation of right and wrong when it comes to ideas. They should be taught as a movement of ideas which befit their time and place. The educational systems which presented the Safa Brotherhood as a group of unbelievers, for example, and argued that Darwin’s theory of evolution was invalid based on religious ideology, have only created difficulties for subsequent generations by fashioning them into soldiers for extremist groups. They ended up by molding them into fanatics devoted to a specific view or philosophy. I do not argue for granting freedom of choice to the teacher, but rather to the student, according to the special curriculums for teaching philosophy. The reason is that religious groups have penetrated the education sector to a considerable degree, as education was a vital field in their organizational and intellectual work. It would not take that long for a teacher, who is like a student himself, to lead and modify students and fall into the clutches of fanaticism and extremism. In contrast, philosophy stands against all ideologies which provide ready answers. The crucial goal is to sensibly and carefully choose philosophy teachers and train them well, with the guiding objective of educating students to constructively debate and scrutinize ideas. 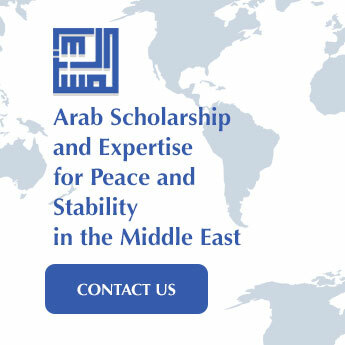 We seek students who will not become blind followers, and this can be ensured by teaching philosophy–if correctly presented in schools–and not in the confrontational manner as exemplified by the pedagogical battles between Sana’a and Aden. Philosophy should be exercise for the mind, inoculating its students against ready-made beliefs, and thus rendering them increasingly resistant to extremism and folly.